Time for an autumn tutorial! 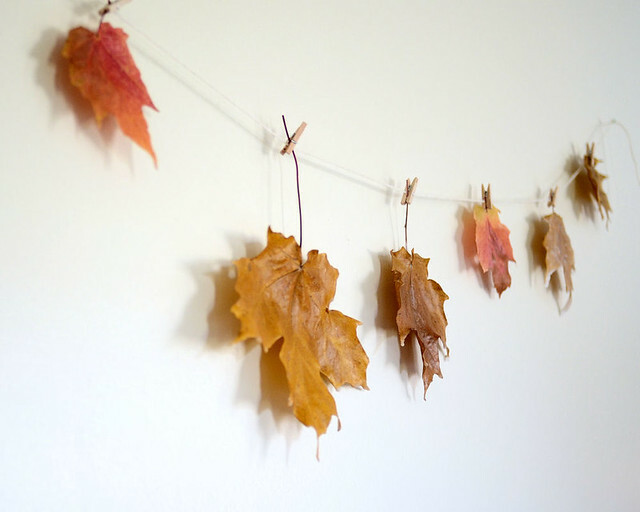 Here’s what you’ll need to make your own fall leaf garland: a length of yarn, a couple of pins or nails, miniature wooden clothespins and pressed or wax-dipped leaves. Measure how far up the wall you’d like to place your garland (I went slightly above eye level), and place a pin or nail in that spot. I used a pin because that leaves the least damage on our sheetrock walls. If you don’t mind poking holes in your walls, you could always use nails or whatever else you’d like. Measure up the same distance where you’d like your garland to end and place the other pin in the wall. Tie one end of the yarn onto one of the pins. Stretch it across to the other pin and tie in place. 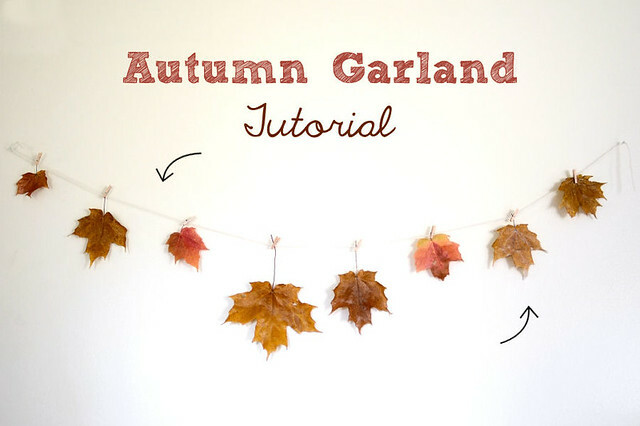 Make sure to pull the string a bit more taught than you’d like the finished garland to hang since the leaves will weigh it down. 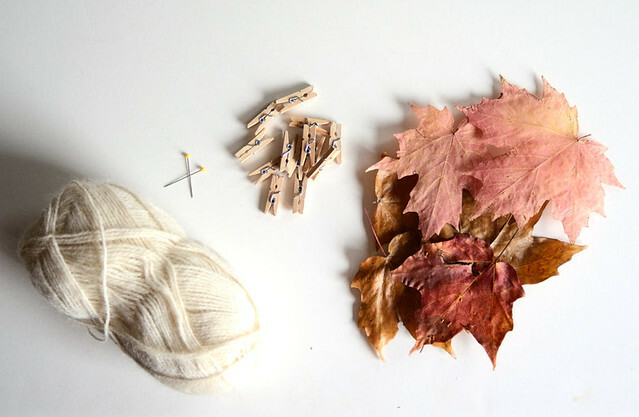 Clip your leaves to the yarn with the mini clothespins at even intervals. I plan to reuse this clothesline for winter/Christmas – maybe hang pine cones and tiny pine branches interspersed with miniature Christmas tree globes. 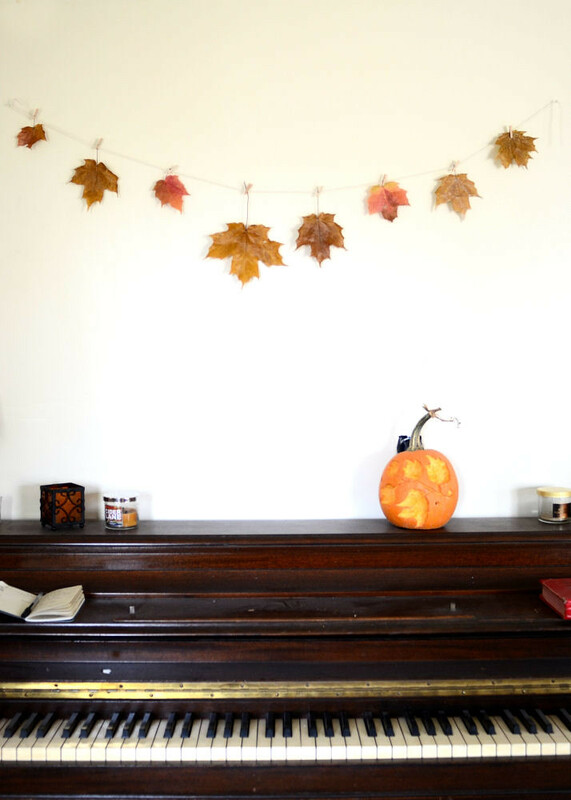 What are you doing to decorate your house for fall? 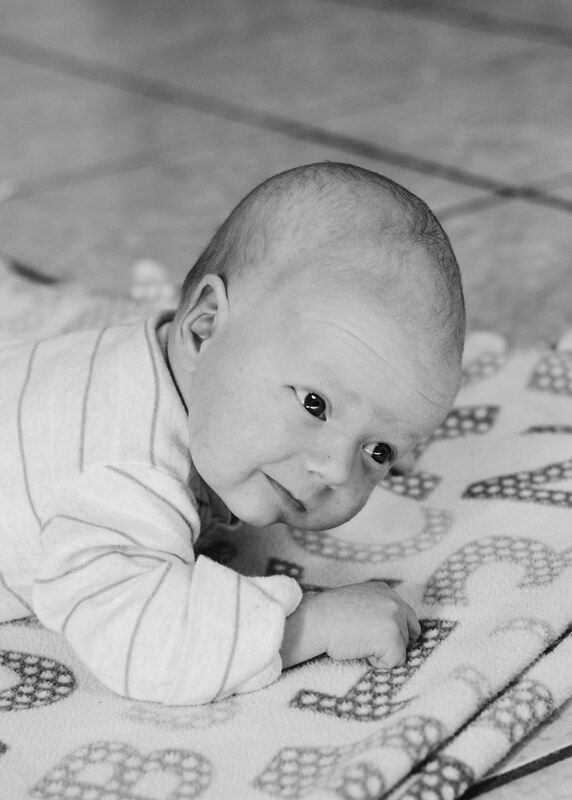 Very fun and easy! Great that you can quickly change out decor by clipping new items to the line. By the way… I love the block font you used – could I ask the name of it and if you found it free or bought it?